UKL employs a strategy that results in junior and senior high teens who are actively involved in small groups, where values can be established and truth can be taught. Through these relationships, UKL staff and volunteers leverage their impact and watch young people find security and direction to propel them for the rest of their lives. Our time proven, successful model of impact is based on “Life on Life” relationship investment that far exceeds typical mentoring or program-based initiatives. It involves thousands of hours of involvement in the life of a student that extends well beyond school hours or basic after school programs. It includes nights, weekends, out of town trips, and personal involvement in the families of the students we serve. This lasting impact is far-reaching, and impacts both this life and well into eternity. Small groups are a place where relationships can be fostered and truth can be taught. I learned that being close to Jesus is a good thing and it doesn’t just mean reading his word, it means changing the things you do and applying his word to your life. I learned that you shouldn’t walk alone when trying to find Jesus, you should get someone to help you understand the word. I enjoy going to KLIFE because I like to meet new people. I also like the environment and how much fun we have there. At KLIFE we always are talking about God and getting closer to Him. I love how they just allow us to come into their family at KLIFE & be as one. I am thankful for KLIFE and for all they have done for me and for keeping me on a straight path. If you have a lot on your mind you can always talk to someone from KLIFE about it. I have found myself doing A LOT of new things at KLIFE, but the biggest thing is that it has brought me out of my shell. KLFE has helped me become a much more open, kind hearted young lady. This also helped me grow and become comfortable in learning about God, I always wanted to know what the fascination was about him and KLIFE helped me understand how powerful He is! KLIFE means a lot to me and is a major part of my life. I joined KLIFE as a little kid and it was an amazing experience having teenagers to look up to. They were like skyscrapers to me. I consider myself one of the lucky ones to have been involved with KLIFE. 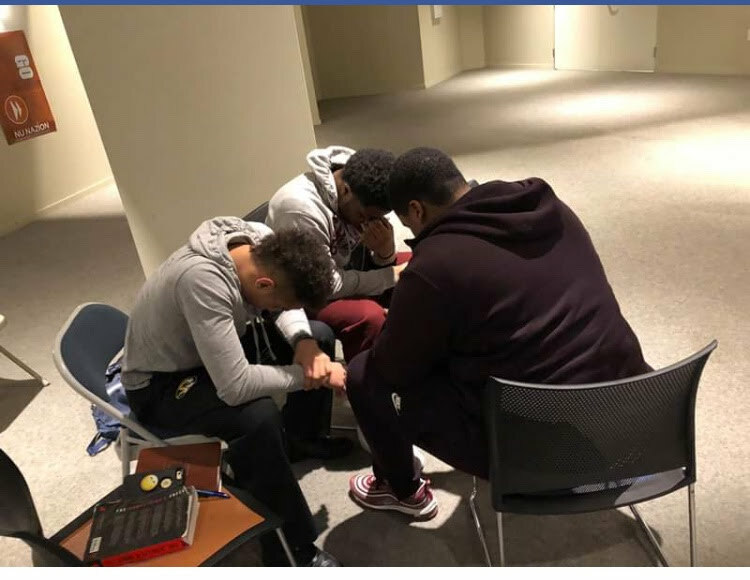 KLIFE has taught me how to truly be a man of God. I have gained so much knowledge of God’s word and now I get to share that knowledge with others. KLIFE has been great to me and it will always be a factor in my life. KLIFE means so much to me and is very inspiring. KLIFE gave me opportunities to grow closer to God and grow in who I am as a person. Without KLIFE I wouldn’t have met some amazing staff, volunteers and other kids. I am very thankful for KLIFE and what they have done for me. I hope they can have this same effect on others as well. Involving myself with KLIFE has changed the way I look at people and how I present myself.